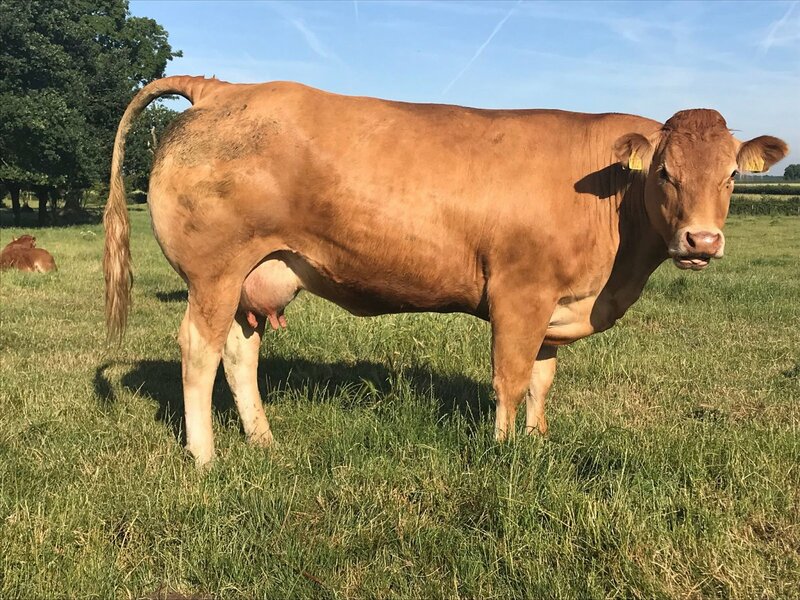 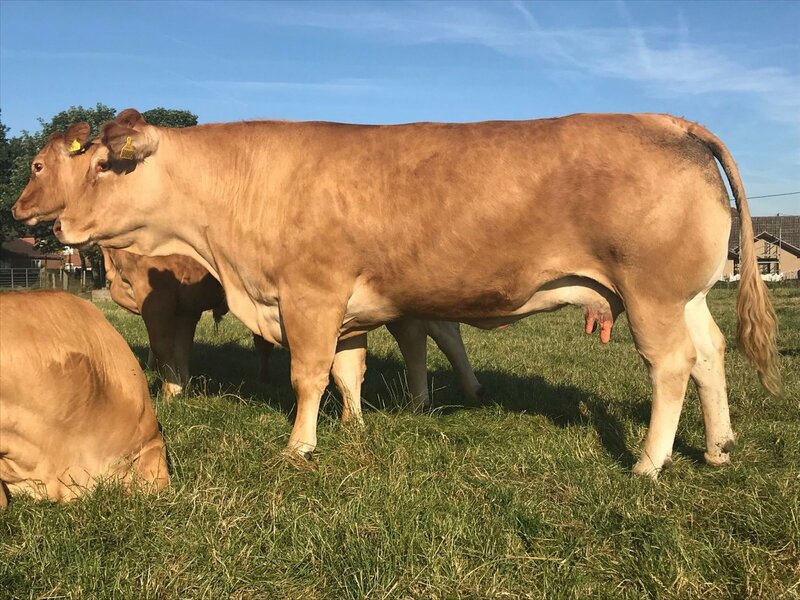 Fieldson Duchess is without doubt our best breeding cow, Duchess is dam of Fieldson Galaxy and Fieldson Halfy. 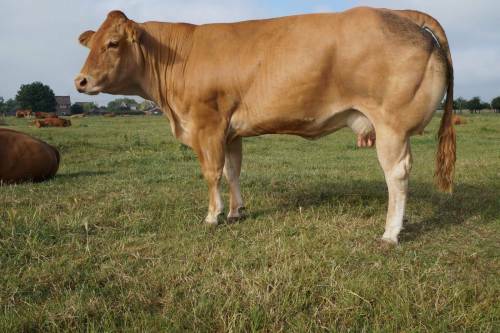 Fieldson Galaxy won best in calf heifer in the herd competition 2014. Galaxy is an exciting prospect within the herd and we look forward to seeing how she will breed in the future. 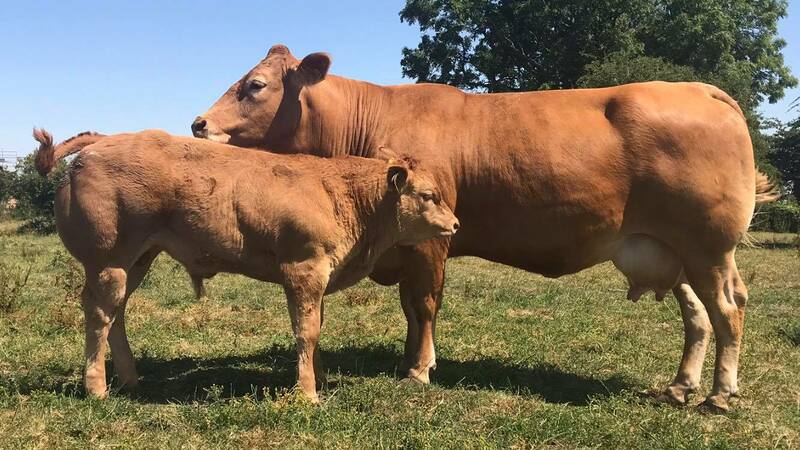 She is currently is sucking a Ampertaine Jamboree bull calf. 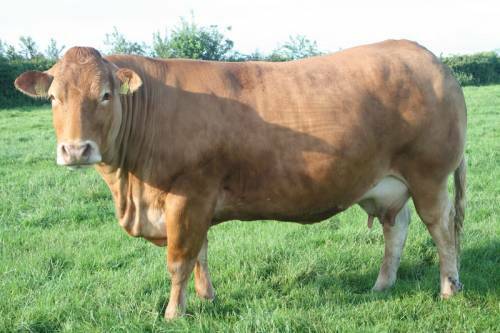 Fieldson Halfy is the most exteme female in the herd.